In what is becoming all too commonplace in boxing, controversial scoring once again is the bigger story than the fight itself. 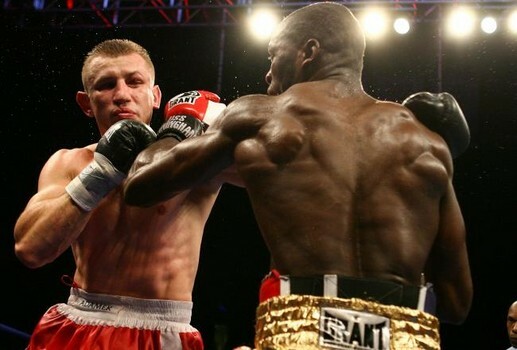 Last night in Bethlehem, Pennsylvania, Tomasz Adamek scored a dubious split decision victory over Steve Cunningham in a rematch of their 2008 fight which was also won by Adamek. With scores 0f 115-113 and 116-112 for Tomasz Adamek, and 115-113 for Steve Cunningham, Adamek was declared winner of the contest, one in which most respected fight observers believed that Cunningham had won. Originally announced as a draw by ring announcer Michael Buffer, he was quickly alerted to the mistake and corrected the announcement awarding the decision to Adamek. Over the past twenty years or so, boxing has gone from a mainstream sport to one that exists on the fringes. Devoted fans remain, but are getting much older than their MMA counterparts. As they die off, one has to wonder if they will be replaced by younger fans who seem to gravitate towards other sports. Besides the difficulty in putting together the best possible fights, it's problems in scoring that may contribute to the decline in popularity. While a case can be made that there has been a slight resurgence in boxing over the past twelve months or so, it seems that every time the sport starts to gather a little momentum, blunders like this are spotlighted. Every sport has it's share of bad calls that influence the outcome, but when one man does the work required to earn the victory, only to have judges give it to the other man, it hurts the credibility of boxing. A case can be made, albeit a weak one, for the 115-113 that Tomasz Adamek received from one of the judges. However, no matter how one looks at the fight, it is beyond reason that there is any way to get to a 116-112 he received from one of the judges. It may be hard to come up with a way to resolve these issues, and that is what is always going to plague boxing as it looks to return to its once lofty perch. The main problem is the corruption that legitimately exists in the sport along with the perceived corruption that may only exist in the minds of some fight fans will always hinder it. In previous eras, the same problems existed. However, as media has become so dominant in our lives, it's hard for people not to learn about it. Twenty years ago the topic was not as well known to the average fans who were only exposed to news they got from network television and magazines. Clearly, neither of them were out to make the sport look bad. It's difficult to write on a topic when you have no clear solution to the problem. Any sport that is settled by judges scores rather than point totals will always be open to criticism. While sports like football and basketball get their fair share of complaints on officiating, it's rare when the complaints center around corruption rather than incompetence. As long as boxing continues to have its shady side, results like what happened last night to Steve Cunningham will always be looked at with a bit of skepticism.